Here are some unique sights I saw in Paris. 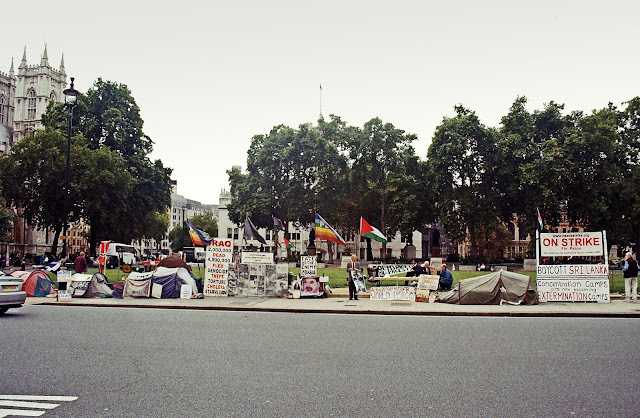 They were very unusual to my tourist's eyes. 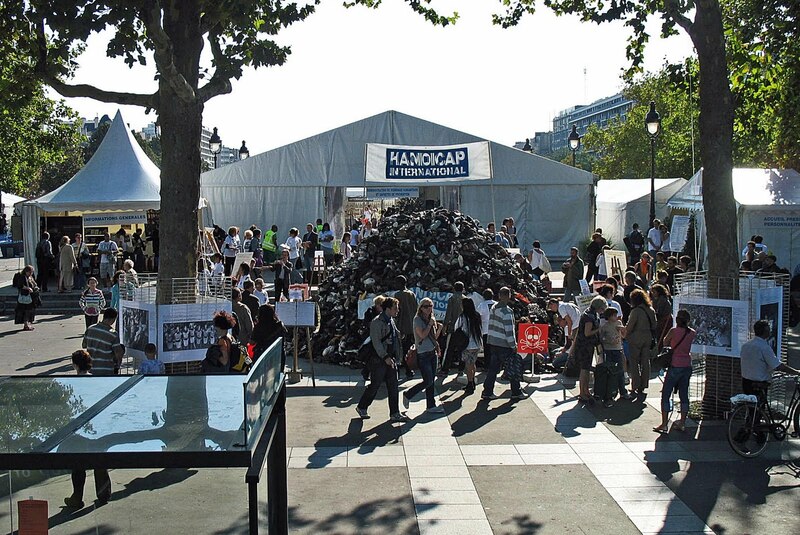 This first photograph has a heap or mountain of shoes and the sign says "Handicap International." People were throwing their old shoes into the pile and it was the weirdest sight I have ever seen. Couldn't quite get the significance of it. This scene was of a various placards for human rights and world peace being shown on the streets of Paris. What was interesting is that the demonstrators were protesting about almost everything, different kind of injustices from around the world, from concentration camps, to human rights abuses in Sri Lanka, to the war in Iraq. 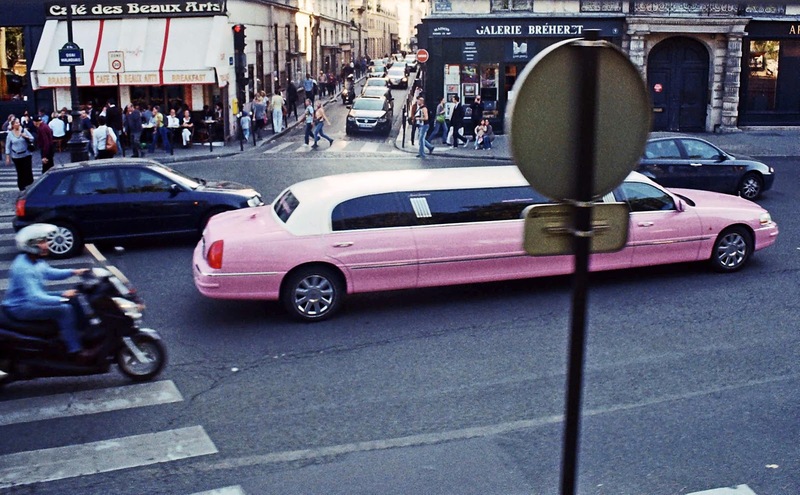 This is just a street scene from Paris, but the pink limousine caught my eye. It may be very common in Paris, but it seemed quite unusual to me, a pink limo!